The Mobiles were founded in 1981 and featured band members Anna Marie, Jhon Smithson, Chris Downton, David Blundell, Russ Madge and Eddie Smithson. Their debut single 'You're not alone' didn't chart, but their second single 'Drowning in Berlin' became a massive hit single. It reached number 9 in the UK singles chart. They were invited to play in the television programme Top of the Pops as a result. The band members then claimed they were sacked from their day jobs because they took a day off in order to be able to appear in this programme. 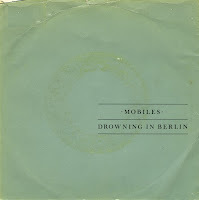 They only released one album, 'Drowning in Berlin', which was released on cd in 2005.